The NZ Journal of Natural Medicine sadly notes the passing of journalist Dan Olmstead, founder of The Age of Autism. The information below comes from the Autism Action Network – Ed. Dan Olmsted, a champion journalist of the autism community, has died. The autism community lost a great friend and champion in Dan Olmsted who passed away over the weekend. And the world has lost a journalist of extraordinary integrity and rare courage. He was the author with Mark Blaxill of two published books, The Age of Autism: Mercury, Autism and a Man-Made Epidemic, and Vaccines 2.0: The Careful Parent’s Guide to Making Safe Vaccination Choices, and a soon to be published, The Big Lie: How Autism Epidemic Denial Hurts our Children, Families – And Our Future. Prior to editing Age of Autism Olmsted wrote a pioneering series of articles on the autism epidemic for UPI in which, among many other discoveries, he revealed that there is almost no autism among the Amish, a revelation that has yet to be the subject of formal epidemiological study. He was a founding reporter at USA Today and a graduate of Yale University. Among other major stories, Olmsted first reported on Lariam, an anti-malaria drug issued to American service personnel during the second Iraq war that causes severe mental disturbances in some people. Olmsted is survived by his spouse Mark Millett. We have no information on cause of death or funeral arrangements. 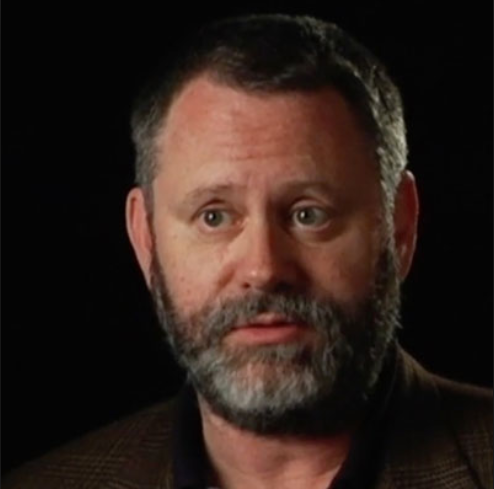 Ed note: The image of Dan Olmstead below is sourced from the excellent documentary Trace Amounts about how the mercury-based preservatives in some vaccines (and other sources of mercury exposure) have contributed to the huge increase in the number of children with autism.